Explanation: Cameras around the globe pointed skyward this week to capture the spectacular conjunction of a crescent Moon and bright planets Venus and Jupiter. 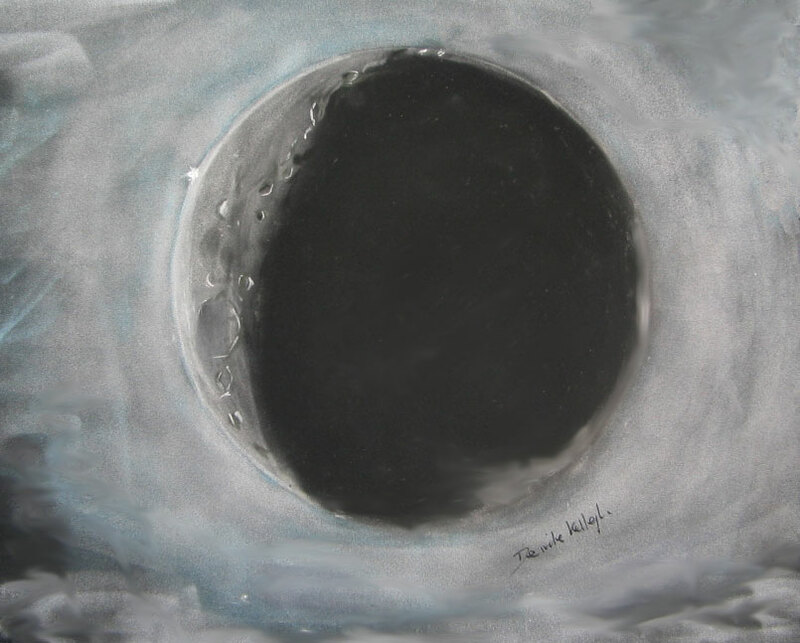 But astronomer-artist Deirdre Kelleghan recorded her observations in sketches of the celestial event. From Greystones, County Wicklow, Ireland, her small telescope allowed her to follow the accompanying lunar occultation as a brilliant Venus disappeared behind the Moon's dark edge, then reappeared along the bright lunar limb. Her lovely drawing of the reemergence of Venus was made with Pastels/Conte on A3 size paper under very cold conditions. She remarks, "The view as Venus once again sparkled like a diamond stuck on the moon was stunning."